Raja Ampat in West Papua is one of the richest marine environments on Earth and offers some of the most breath taking natural beauty on the planet. 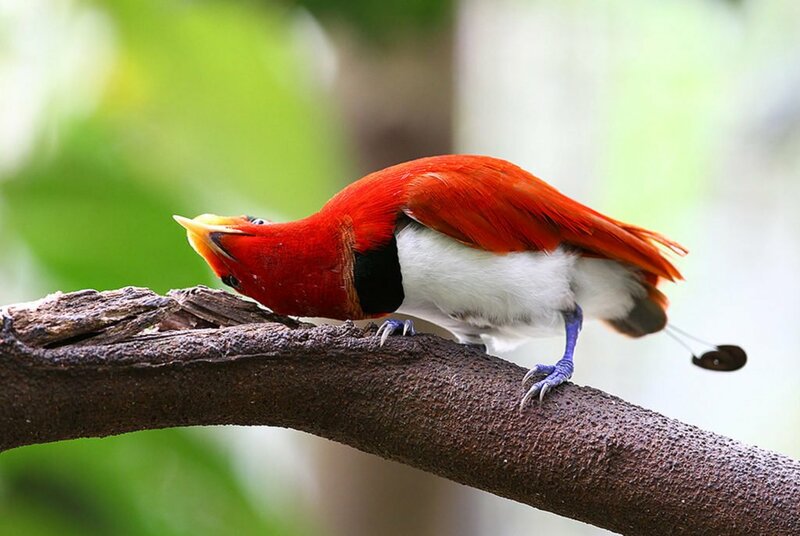 Did you know that Raja Ampat’s hundreds of remote, uninhabited islands and pinnacles are also home to an abundance of bird species, including birds of paradise? A luxury private cruise is by far the best way to explore this pristine area and to see both sea and terrestrial bird species. This is an area where hotels and places to stay are few and far between and would confine you to one area. Raja Ampat needs to be explored by sea and with the luxury afforded by El Aleph you’ll feel as though you are on board a floating 5 Star Hotel. Raja Ampat, when translated means “Four Kings” which is in reference to the four main islands in the region: Batanta, Salawati, Misool and Waigeo. Across the Raja Ampat region you’ll find hundreds of tiny islets with palm fringed white sand beaches, exotic flora and fauna – and birds. 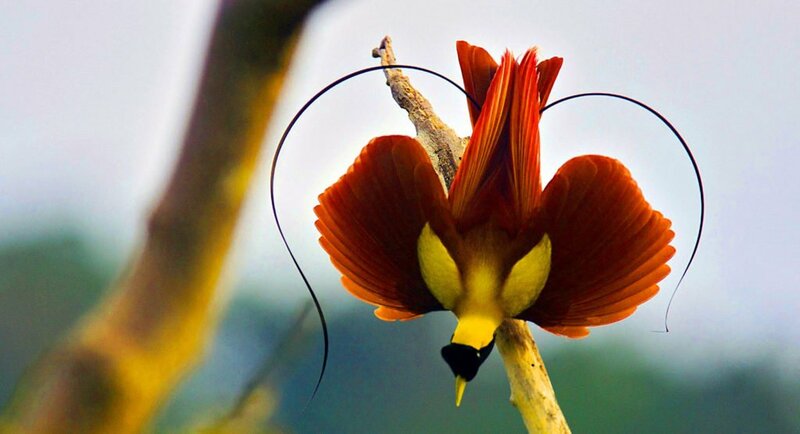 The highlight of this region for bird enthusiasts is the birds of paradise that can be found here. 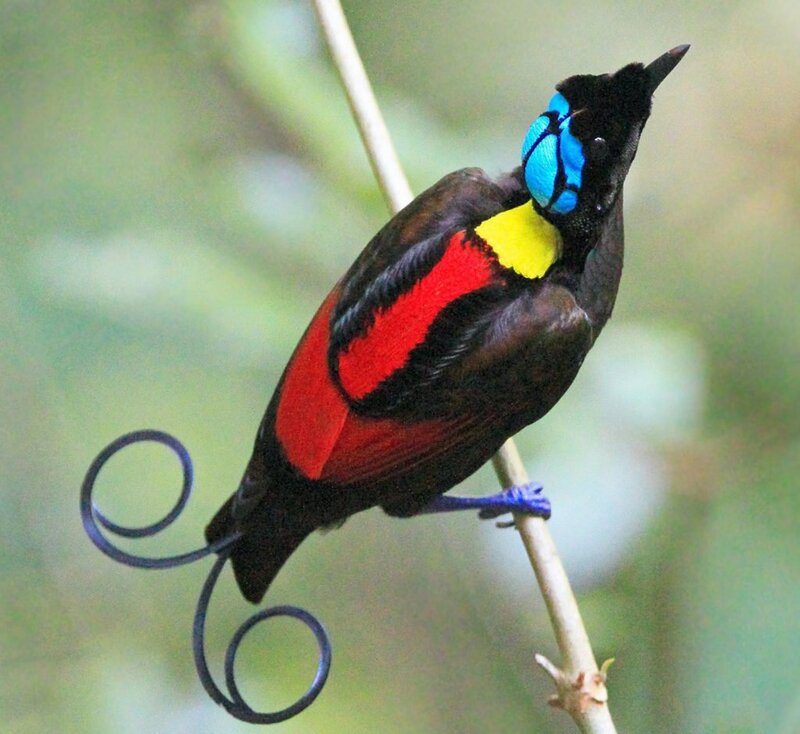 Cruise around Batanta and Salawati and you’ll be able to see 3 birds of paradise: Wilson’s Bird-of-Paradise, Red Bird-of-Paradise and the King Bird-of-Paradise. El Aleph is equipped with two small speedboats which are used for making trips to the shore so access to islands is easy, safe and comfortable. On these two islands you’ll see all three of these Birds of Paradise, but there is still more to come. As you cruise around the region – especially the southern part of Raja Ampat around Misool, you’ll find yourself in one of the most successful marine protected areas in the world – and most remote. There are just a handful of small communities in this vast area, which is otherwise uninhabited. The waters are teeming with fish and bursting with colourful coral reefs. In between looking out for sea eagles and islands to explore, enjoy world class snorkeling or scuba diving, swimming in crystal clear waters, barbeques on the beach and ticking off the bird species you have seen so far. Although birds of paradise are a major draw to the area, during your cruise you’ll also have the chance to see other rare and unusual species including: Northern Cassowary; Western Crowned-pigeon; Pheasant Pigeon; Black Lory; Beach Kingfisher and Bruijn’s Brush-turkey – as well as other common region specific species and sea eagles. Your private charter on El Aleph will give you the opportunity to see these incredible birds in complete luxury and with no one elses schedule or needs to take into account. If you are planning a family or group trip there are plenty of activities for everyone to enjoy. For those who want an active adventure holiday there is diving, snorkeling, wake boarding, donut rings sea kayaking and endless swimming, trekking and hiking opportunities. Likewise if members of your group want to kick back and relax, El Aleph’s sundeck is the perfect place to top up a tan, relax and kick back with a cocktail or enjoy massage. El Aleph’s sumptuious cabins and lounge areas are idea for both quiet and family time – or even a great night in with friends! El Aleph is a beautifully hand crafted vessel, and much like a super yacht, her lavish design is unparalleled by any other private yacht of her type. 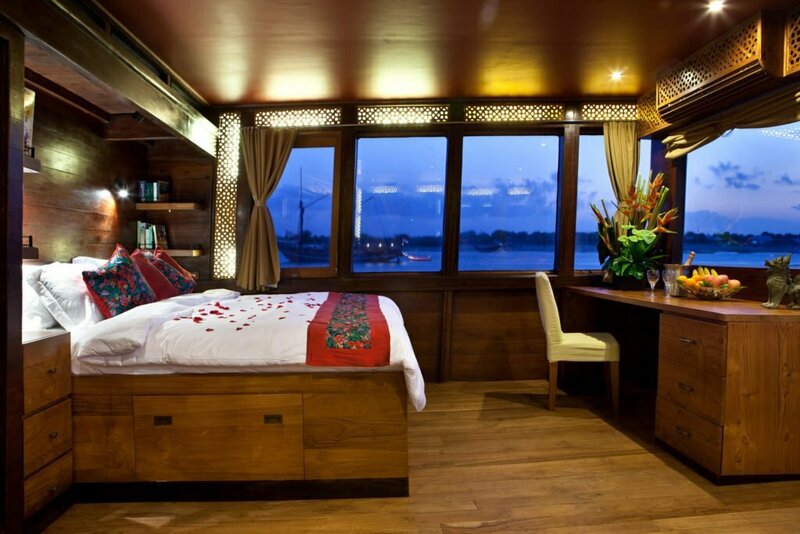 She’ll be your exclusive, luxury home away from home while you explore the stunning islands of Raja Ampat. For more detailed information about El Aleph, view our full vessel specifications. To enquire about our rates and availability or to book a cruise on board El Aleph please contact us on: info@elalephcruising.com. Please note that to ensure your privacy and an exclusive experience we only offer full charters and do not take bookings for individual cabins. We look forward to welcoming you on board soon.